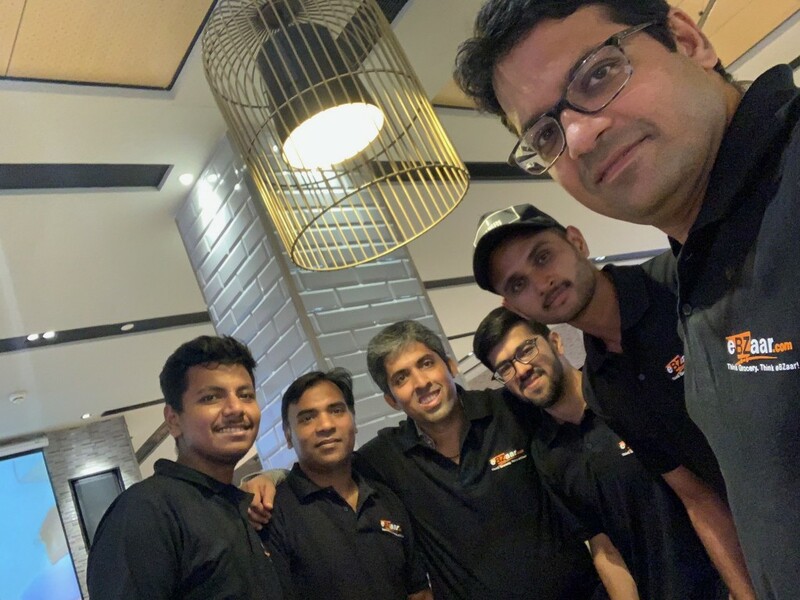 Viral and the eBZaar team are on a mission to give Indian brick and mortar retail stores with no digital presence an easy way to sell goods online. Davis Baer: What’s your name, and what are you working on? My name is Viral Thakker, and I run eBZaar.com as the CEO & Co-founder. At eBZaar, we are on a mission to bring Indian brick & mortar retail stores online by giving them a zero cost digital store, with the idea that technology should be easily accessible to this segment of the society. We want to enable the local retailer to sell more and sell better by better-leveraging technology and the power of digital; without having to worry about creating websites, mobile apps, hosting, cataloging or digital marketing. On the demand side, we aim to make the customers’ favorite stores available 24X7, thereby enabling the customers to shop hassle free anytime and anywhere from their own trusted stores. Considering that customers are adopting digital at a rapid pace, this segment (50 million retail outlets in India, 14 million in food & grocery, 98% small & unorganized businesses) could soon become non-relevant to society if they failed to adopt digital technology. When acting as a consumer, the same business owner does use multiple digital platforms; however when acting as a retail store owner, the very same retailer is aloof to digital technology — and this is not always by choice. In our current journey, we act as their online channel partners. Over a period of time, we will become their omnichannel partners too. After all, why should technology be restricted to Amazon or Flipkart (acquired by Walmart) and why should omnichannel be available only to large conglomerates (e.g. Reliance Fresh, Future Group-owned Big Bazaar or similar models by business houses of Tata’s and Birla’s) alone. Overall, we see us working on a retail transformation agenda for the next few years. B) Opportunity gap in the market is highest in this segment. For us, Food & Grocery includes Kirana, Fruits & Veggies, Cakes, Mithai, Meat & Sea Food & more — anything that customer typically prefers to buy from their local neighborhood. I have 13 years of corporate experience prior to starting up, spanning Banking & Financial Services. During this career, I have developed with a keen understanding of retail and wholesale banking, capital markets, trade finance, and cash management. My last Corporate role was as Executive Director at J.P.Morgan; a place which accounts for half of my corporate career and where I was responsible for selling structured and classical trade finance and cash management services to Fortune 500 companies. I gained in-house & external recognition and accolades for my work here. Prior to joining J.P.Morgan, I have worked with HBSC and ICICI Bank in roles across relationship management, audit and advisory services. Working across diverse MNC Banks, I also possess experience of working in a complex / matrix organizational structures, navigating through multiple stakeholders and working with people from diverse cultural and geographical background. I have traveled extensively both within and out of India, something that I relish; this aside, it also provides me the opportunity network extensively with people from different backgrounds. We have worked with 30+ stores until now. With the release of our mobile application in September 2018, both customers and retail stores are showing increasing interest in joining hands with us. We have on-boarded (live plus mandates) 10 stores in the last 2 months alone, the adoption from stores being much higher with the release of our mobile application. We are being constrained only by our capacity to expand and are on a firm footing when it comes to taking our offering to more & more customers and merchants. As a CoFounder, I have 25yrs of experience running a grocery store; right from early my childhood till few years overlapping with my corporate career. Even back then, we had aspirations of expanding our business but on the other extreme, we had no clue on how to overcome even basic insecurities like trusting the cash till to a manager OR how to track inventory (we were devoid of things like barcode and POS systems). Thus, even back then, the story was about access to the right technology and processes for business expansion at a small family run local store. As I was looking out to start out, post my corporate career, the story seemed pretty much the same. Considering the rapid pace of digital adoption by consumers, the local retail store faced an existential crisis if they failed to adopt a digital channel. If there was to be a bridge to overcome this gap, who is better placed then a bunch of individuals each of whom all feel passionate about and understand retail. 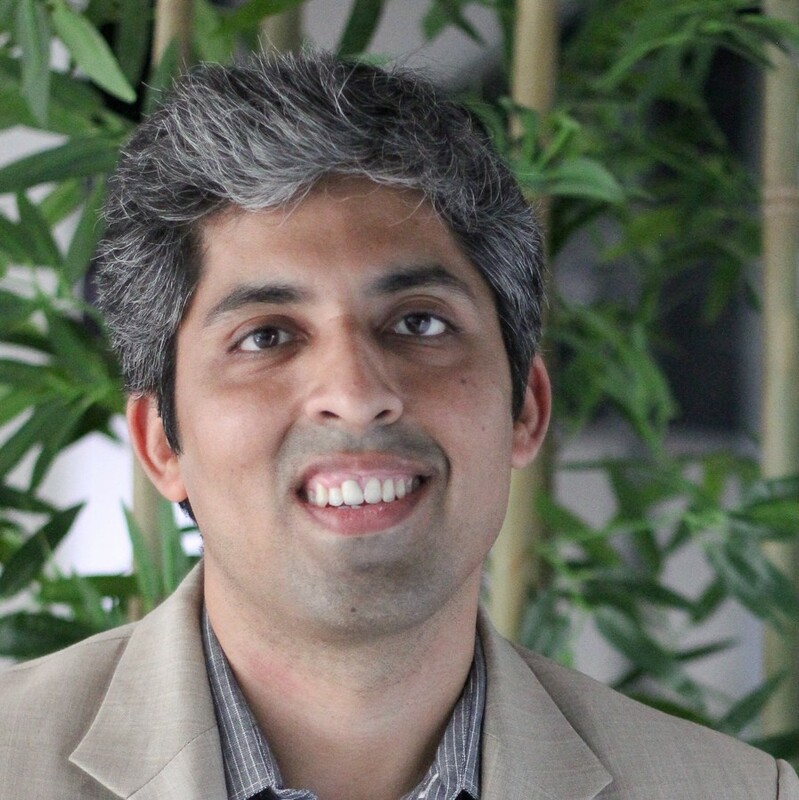 Aside from me, Pranav Mehta (COO & CoFounder) has implemented technology solutions at multi-billion US enterprises, having spent 7 out of 15yrs in the US across different aspects of technology. Ravi Ranjan, CTO & CoFounder, has done his own startup in a similar space, where he managed technology and product. Besides, he has also built 4 products during his corporate career including leading a tech team at a Y Combinator Company (Bulk MRO, W2017 batch) and comes from a family of FMCG / Pharma products wholesalers and retailers. Everyone in the eBZaar team is deeply passionate about and experienced in retail; we strongly believe in the potential of technology to drive retail transformation for the benefit of all participants in the industry. We are driven by the fact that this section (business owners of small or medium-sized local stores) also needs to participate in, and have access to, the digital economy. A decade plus corporate career allowed me to save upon a little kitty as a starting capital. Aside, having a supportive family with a working spouse has ensured that we could keep the household going without dipping into contingency savings. However, of course, startup life has its demands and you do have to have a bit of moderation in your lifestyle. Till date, we have worked with 30+ stores and processed 1000 + orders with order ticket size being above industry average and an army of a small set of super faithful customers that keep us going. These customers also act as our reference points on idea validation. And with the launch of our mobile application, we can see the enthusiasm and adoption of our platform only improving further. Building a product as a first-time entrepreneur and as a solo founder (which was the case until recently) is never easy. My first version of eBZaar was totally ridiculed by family & friends alike and we had to almost scrap it after 6 months of work. I learned that people do not like to merely search a product if it’s an eCommerce platform; they like visuals and imagery, and category listings just to browse, just to figure out what they want to buy from your portal or app. It took 3 to 4 months of rework before we could relaunch the product and get our first external customer. A couple of important learning along the way: be very sure if you want to be working with another startup as a service provider; it is almost always better to work with experienced hands since you yourself are a startup and not sure about many a thing. Secondly, be sure to get the right team first; the mistake I committed was to read about technology during my notice period, I would have been better off reading about hiring and team building. You definitely cannot do it all alone. One part which worked right was that forward selling the product platform and features to some of our (would be) store partners. We had 5 store mandates before the product was officially live (1.X which was ridiculed)! Friends and family were extremely supportive along this journey. If one friend would read up my legal agreement to help me spot the gaps, my spouse would help create initial marketing collaterals and/or line up interviews while another friend would sit with me helping through initial interviews. One of my mentor, who later also wrote a cheque, particularly helped me find the right tech team to move us from a ridiculed first version of the product to one where we got our first external customer. All of this product build-out was self-funded, and that continued for another year before getting an external cheque. We never had a formal big bang launch. Instead, we did demo products, researched markets, asked for referrals from family & friends, talked to everyone in the network, introspected on all the feedback & pointers from numerous discussions; all of which contributed in the evolution of our business model. While we had five store mandates before we started and all of them converted, the first superstar store that bought us a lot of customers was a result of a referral! Early into the journey, it helped us to emphasize the power of referral, which we have held dear ever since. In a way, I truly realized the power of listening to what knowledge market shares with you. Silly as it may sound, our first flyer lacked a CTA (Call to Action). I had barely located one solitude friend who had taken up a marketing career and he was the point us out. I learned the importance of nudging the users to an action we demand of them (say a “Register Now” versus “Order Now” — the nudge is important). And then I learned some more marketing mantras as he connected me to his manager, a very senior marketing pro. Thereafter, I just went and met some people by cold emailing people on LinkedIn and also meeting more marketing folks on every available conference, session or other such opportunities. Another hack that worked for us is a closed user group — was giving users something small but valuable (say even a free shipping in our case!). We executed this over WhatsApp marketing, getting us a lot of converts. However not being able to keep the freshness of the messaging meant that we soon faced Diminishing Marginal Utility. The other related issue with this one was that it was difficult to execute at scale. All along, continuously talking to a lot of different people, to learn and to experiment is one of the most important things that helped shape up a lot of things in terms of our business model. We simply charge a commission whenever our store partner gets an order on our platform. We believe that the core service — a zero fixed cost digital store, will always remain free. However as we add more value-added services and additional feature sets for the store to leverage, these may come at an incremental cost instead of being free. One thing we have been clear about has been to charge for the services we provided. We have been charging our partner stores from day one. We never found a good reason for not charging them. Having said that, we are still a fairly early stage and are only now raising money, with a significant amount to be spent on marketing and scaling up. One of the things that worked for us in our early days (and I think it still does) is to keep a fairly straightforward no-nonsense pricing structure, something that people do not find fault with easily. Secondly, we try & protect your base margins, with additional variable costs being billed as out of pocket wherever it is easy to identify back the cost to a particular transaction. This learning was a result of market feedback coupled with my corporate career where I had honed my skills about price negotiations and pricing models to an extent. From a peak order volume of 10/15 orders per day, we want to scale to 200/250 orders per day. That is one very important goal we are tracking. One of the big roadblocks is going to be debottlenecking and automating some operationally intensive tasks — as capacity constraints on the supply side are more internal. This was an important realization as we started on our go to market execution post launch of our mobile application. We also realized that the mobile application improved the acceptability of the product in the market, but it is but hindered by our ability to push through more stores more quickly. Also having sufficient capital is an important aspect to reach where we want to reach. What are the biggest challenges you’ve faced and the obstacles you’ve overcome? If you had to start over, what would you do differently? One of the biggest challenges I have faced was team-building / hiring. Today, I can proudly say that we have one of the best core execution, leadership, and operational team. However to get there I have tried to absorb learning from multiple sources — reading blogs, attending some relevant sessions, even asking 3 to 4 of my hiring managers on why did they hire me and how do they usually go about hiring, also posing this same question to senior entrepreneur friends! If I have to start over again, I would definitely focus on getting the right team in, first upfront. Like I stated elsewhere, I used to read about technology in very early days of conceiving the startup. Rather I should have been reading about how to hire a CTO! Today as we are a team of over 10, I do worry about what is the right culture we want to set for the team. Also, I do see that the team is always watching you and you are the first role model to set examples for others to follow. The other thing, philosophically speaking, was: to continuously keep at it, at least on aspects of the business which were under our control, while one tries to solve for challenges present in the business. This approach ensured that at least some part of the business strengthened even if it took longer for some other part to sort itself out. Ultimately every situation is different. My suggestion would be to take the above with adequate discretion and thought and then adapt it to your own circumstances and situation. Not having co-founders until recently, meant that crowd-sourcing was pretty useful for a lot of idea generation, provoking thoughts and brainstorming. Having another solo founder at another venture as your cribbing buddy; as someone to share your highs and lows with, was another very important part. Aside, to have a “constant” group of 4/5 friends to speak to about your progress and some challenges can do you a world of good, especially when you are worried about the diversity of thoughts or whether you have been missing out on any important aspects of a situation. Secondly, as an entrepreneur, you should learn to be be very resourceful: ask yourself if you have exhausted every available option, forum, platform, friend or group of friends, customers, vendors, past or existing service providers for help? Have you asked at enough places for answers? I discovered that people are usually very friendly, but they can or will help only when you ask for help. Following certain inspiring people around you, having senior entrepreneurs to learn from, nurturing relationships and helping people before asking for help, tracking your priorities and maintaining whatever lists you ought to maintain to work more efficiently; are other advantageous aspects of our startup journey. My advice to folks who are starting out is this: do it if you have a really strong reason to do it, money alone is a very bad reason as it cannot keep you motivated long enough, when you are in the dumps; and you will maybe more than once, before you hit a goldmine. Once this part is sorted, keep it at it long enough but do not stop learning and listening to market feedback, and keep on removing one block at a time. Horizon is for real and not far enough. When people say that you ought to walk together to walk far, it is so very true. For me, sales & hiring are two topmost skills to posses — remember, you are selling even while hiring. I had to learn to sell the vision and the way we want to change the world before we started to get people interested in even listening to us. And lastly, follow some of the people who inspire you –and there are enough and more on LinkedIn and other similar platforms. Keep learning, keep growing and best wishes to all entrepreneurs. For me, Zero to One has many golden nuggets, I am more of a blog reader on LinkedIn and online and not a book reader. Pick up whatever works for you and do follow that. And lastly, still squeeze in time to chase your hobby once in a while just to bring diversity to your thoughts and to break the routine! Founder Interviews: Viral Thakker of eBZaar was originally published in Hacker Noon on Medium, where people are continuing the conversation by highlighting and responding to this story.